If you haven’t ever tuned into the Rooney family from the Disney Channel’s Liv and Maddie, then you need to check them out! It is one of our very favorite shows, very family friendly and quite funny too! 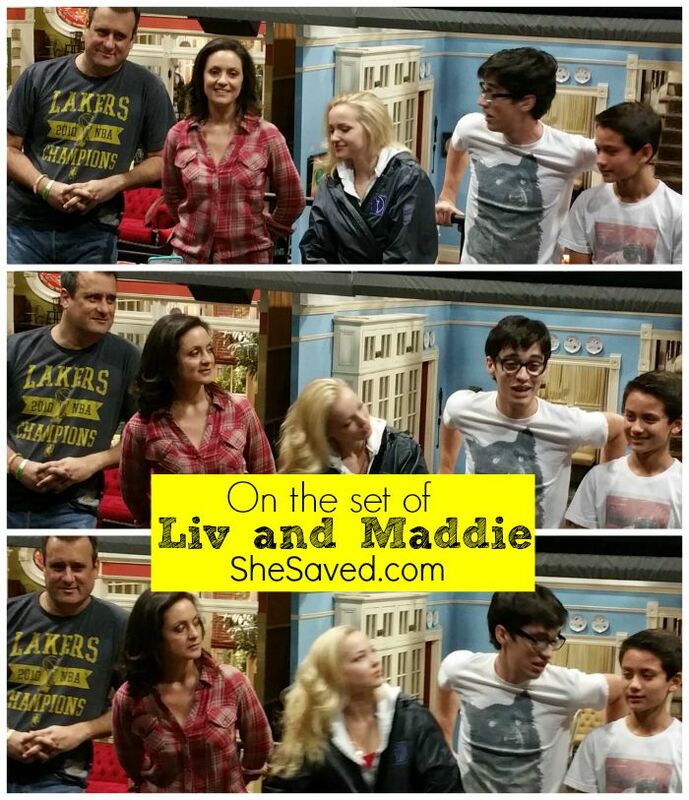 I was pretty excited for the opportunity to get to spend some time on the Liv and Maddie set a few weeks ago, and my kids were insanely jealous! It was almost surreal being on the set, as I feel like the Rooney family is in my living room every week! Seeing the set in person was really neat, it is amazing how they can bring all of that to life. 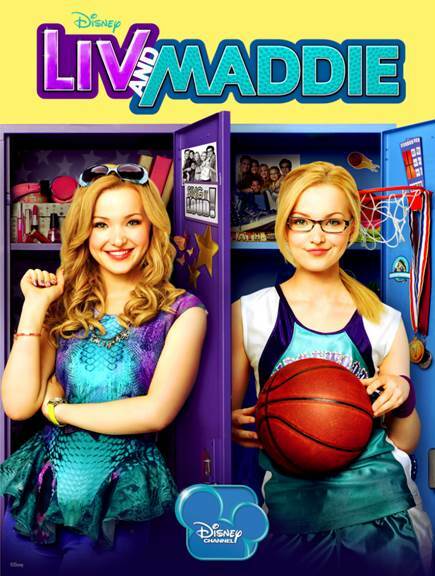 Liv and Maddie is a Disney Channel series about the Rooney Family. Cast members include: Dove Cameron (she plays BOTH Liv and Maddie Rooney), Joey Bragg (Joey Rooney), Tenzing Norgay Trainor (Parker Rooney), Kali Rocha (Karen Rooney), and Benjamin King (Pete Rooney). Sitting and chatting with this television family was so much fun… you could tell that they really enjoy being around each other, and the LOVE to poke fun at each other, just like a real family! I loved the way that they interacted with each other. My daughter is Dove Cameron obsessed, and I have to admit, I am a little bit obsessed myself. This young lady is so talented, and has the most beautiful voice. 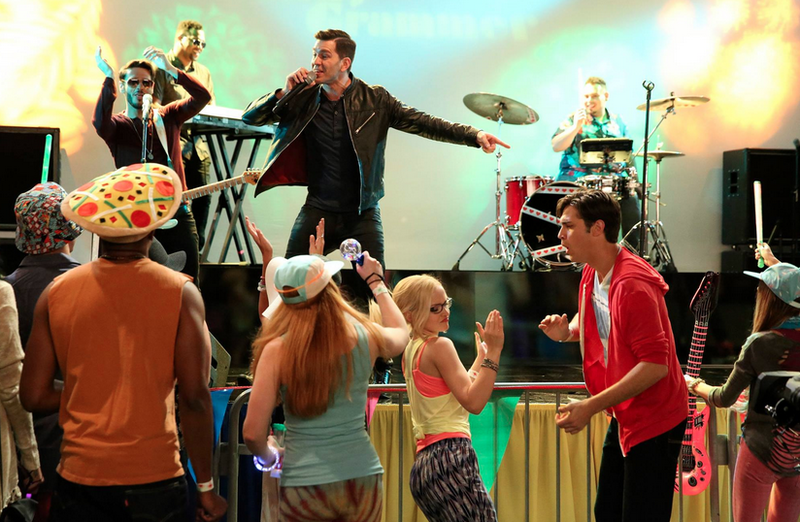 (The Liv and Maddie soundtrack is awesome, by the way!) Dove recently starred in the Disney Channel’s latest movie release: DESCENDANTS in which Dove plays main character Mal, and is amazing! Dove Cameron plays BOTH Liv and Maddie in this show, and it’s really hard to imagine how they are able to put it all together the way they do, with ONE person playing both of the main characters. 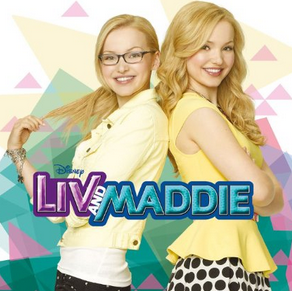 When asked if she ever gets confused, Dove replied, “I’ve never gotten confused but as the seasons go on, I’ll walk into a scene, and I’ll be like wait…who am I?” and the Benjamin (who plays Liv and Maddie’s father) chimed in and said “…but I can’t go through a scene with Liv or Maddie without calling them the wrong one. So it’s confusing for everybody else!” We all had a good laugh over that! I was really impressed with the boys who play her brothers; Joey Bragg (Joey Rooney) and Tenzing Norgay Trainor (Parker Rooney). Not only are they very well spoken, but they are hilarious. 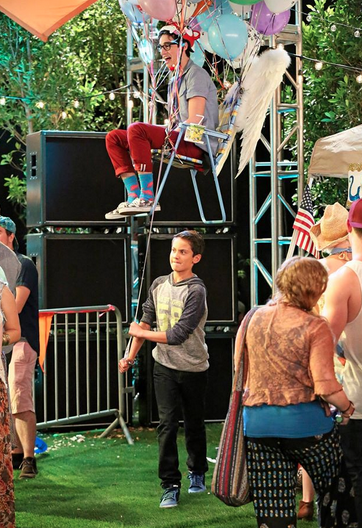 No wonder this show is so entertaining, these kids bring a LOT of personality to the set! 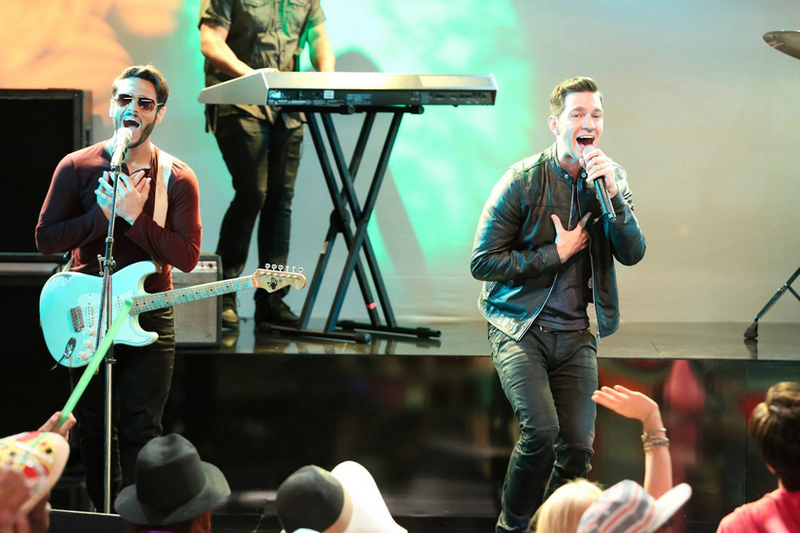 Andy Grammer Guest Appearance this Sunday! Liv and Maddie is on the Disney Channel on Sundays at 7:30pm est… make sure to tune in for lots of laughs and good clean fun family entertainment!